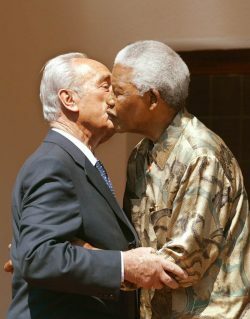 Diplomatic relations between Israel and South Africa have always been a bit tenuous. It is a story of shaky alliances, distrust in parts, and a lot of speculation. It is a relationship that certainly garners its fair share of column inches and discussion. The relationship between Israel and South Africa goes back to the earliest days of the establishment of the modern state of Israel. South Africa was among the 33 states that voted in favour of the 1947 UN Partition Plan that would move to establish of a Jewish State in Palestine, and was one of only four Commonwealth nations to do so. This vote would have hopefully led to the establishment of an Arab state as well, but a coalition of Arab states unfortunately declined, preferring to declare war on the fledgling Jewish state. On 24 May 1948, nine days after Israel’s declaration of independence, the South African government under Prime Minister Jan Smuts, a long-time supporter of Zionism, granted de facto recognition to the State of Israel. This was just two days before his United Party was voted out of office and replaced by the pro-Apartheid National Party. South Africa was the seventh nation to recognise the newly declared State of Israel. At the zenith of its communal history, South Africa had 110,000 Jews, a figure which included more than 15,000 Israeli citizens. So why has this relationship taken a downward turn? Post-Apartheid, the relationship between these two states has become decidedly more complicated. Could it be because of historical alliances between the ANC and the PLO? Are there elements within the government and lobby groups who are pushing their agendas to subvert any relationship between the two countries? 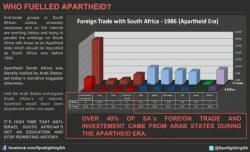 Why is South Africa, who shares many similarities and challenges with the Jewish state, singling her out for opprobrium at the expense of other serious conflicts in the world, including a collapsed economy as a neighbour and a genocide stricken continent? Is this all a ploy to distract from domestic issues? Officially, the South African government support a Two-State solution for Israel and the Palestinians. There are elements within the ruling ANC party who would prefer that South Africa adopts a policy of boycotting the Jewish state. The ANC will convene at its elective conference on the 16th of December and high on the agenda (besides the potential new leadership) is whether the Embassy in Tel Aviv should be downgraded. A downgrade of the Embassy, while mildly upsetting to Israelis, will far more undermine South Africa. First, the continuing flagrant bias demonstrated by South Africa in the absence of any semblance of impartiality, undercuts any significant role that South Africa envisaged for itself in brokering a peace deal in the Middle East. When South Africa emerged out of the dark Apartheid past, the country was respected as the benchmark on conflict resolution. Sadly, over the years the African state has demonstrated remarkable bias – hardly a component of conflict resolution – against the state of Israel, and actions like the proposed downgrading of ties, only reinforces the fact that they no longer have a role to play. In an interview for the website politicalanalysis.co.za, ANC NEC International Relations subcommittee member, Ebrahim Ebrahim, expressed that should a decision be made to shut down the Embassy in Tel Aviv, South Africa would have to shut down their mission in Ramallah as well. So really, if you look at this, it is a situation where there clearly are no winners. Trade between the two countries, while modest, is still very important at a time when South Africa’s economy is so precarious. Can South Africa really afford to lose more trade and investment? The Israeli economy is robust, with the shekel currently holding the position as the second strongest currency in the world and comes at a time when South Africa’s fellow Brics partners as well as other major emerging economies like China and Latin America are expanding ties with the Jewish state. And it not just trade but the wealth of knowledge and help that Israelis bring with them in the fields of cybersecurity, agri-tech, fintech, bio-tech, medicine and all the many other fields where Israel is fast becoming a world leader. Many ordinary South Africans who couldn’t give a hoot about politics in a region that they have no ties to because they are more concerned with feeding their own families, will lose out. Groundbreaking Israeli water technology could provide much needed solutions to South Africa’s crippling drought problem. Why is the South African government so hellbent on importing conflict into the country? How would this affect Israel? There is no doubt that a diplomatic snub like this would make Israelis bristle, but will this affect the economy and cause a great change in policy? No. This could affect the levels of tourism between the two countries. Tens of thousands of Christian pilgrims as well as members of the Jewish community visit the Holy Land every year and this could create obstacles. Israelis visit South Africa as well, many for business but a significant number for leisure. 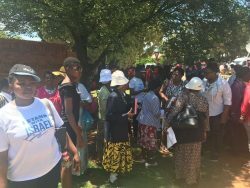 Israel also has a large South African expat community who depend on services offered by the Embassy and downgrading will affect them as well as undermine the constitutional rights of those living in South Africa’s to practice and enjoy their religious rights. It would be prudent of the South African government to consider the well-being of their citizens and how the downgrading of the Embassy in Tel Aviv not only affects their daily lives but also greatly changes the status of the country from once lauded benchmark to future laughing stock.